Listed in no particular order, these are the books that I own and use whilst doing my daily work. When it comes to technical books I read, or sometimes just scan, through them when first recieved. There after I refer back to to them as and when a relevant problem arises. 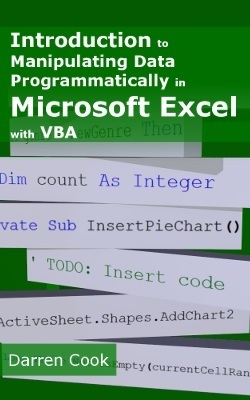 Introduction To Manipulating Data Programmatically In Microsoft Excel With VBA by Darren Cook An interesting read at the more complex end of VBA usage. It covers the basics of classes and their construction. This e-book is well worth the cost especially as the bonus chapters are now included. 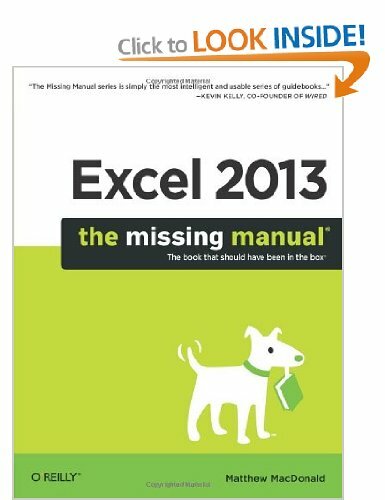 Excel 2013 The Missing Manual by Matthew MacDonald	Does exactly what is says on the cover. It replaces the manual that is no longer supplied with the software. 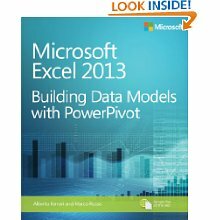 Building Data Models with PowerPivot by Michael Alexander An very interesting and thought provoking look at using Access to supplement and extend your data analysis skills. I enjoyed Michael's style of writing and his approach to the subject matter. 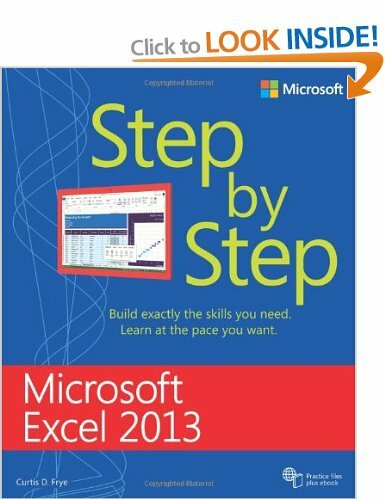 Microsoft Excel 2010 Step by Step by Curtis Frye This books is very reminiscent of the manuals that used to come with Excel back in the day. 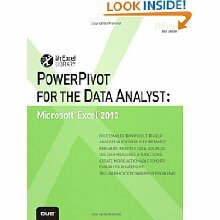 It covers all the aspects of the software and its features, which makes this an excellent choice for those not familiar with Excel. It could also be of help to those users who are wary of upgrading to the new ribbon interface in the latest versions of Excel. Head First Excel: A learner's guide to spreadsheets by Michael Milton I am a big fan of the Head First series of books. 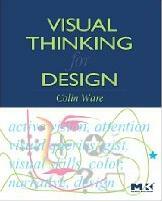 The approach this series of books takes does indeed make it easier to absorb information about complex subjects. This edition is no different although the Excel level is beginners. If you are new to Excel this is a good introduction to the approaches of using Excel. Professional Excel Development: The Definitive Guide to Developing Applications Using Microsoft Excel, VBA, and .NET by Rob Bovey, Dennis Wallentin, Stephen Bullen, John Green This is the 2nd edition of the must have book for serious developers. 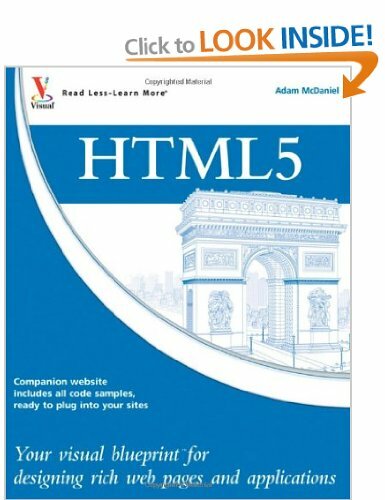 The new content on the ribbon and .net have only reinforced it's place as 'the' book for developers. Excel-Basics-Blackbelt An Accelerated Guide to Decision Support Designs by Elliot Bendoly This is an excel book aimed at those who are creating Decision support systems. It covers advanced topics such as Solver and circular referencing. The book also includes informative chapters on the use of additional, though not free, application MapPoint, RiskOptimiser and XLStat. I could only read the details on these applications as I do not have any of these add-ins. But if you already any of these applications the sections on VBA automation will be of intereset. RibbonX: Customizing the Office 2007 Ribbon by Robert Martin, Ken Puls, Teresa Hennig This is the book to get if you want to get to grips with programming and customizing the Ribbon UI introduced in some of the Office apps in 2007. 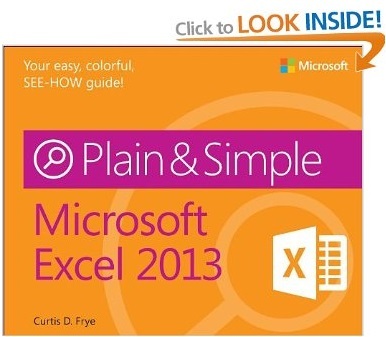 The book covers Excel, Word and Access ribbon. 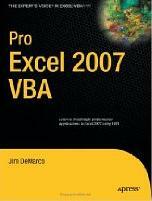 Excel 2007 Power Programming with VBA by John Walkenbach As always John's style of writing makes the topic accessible to the reader regardless of their level. Professional Excel Development: The Definitive Guide to Developing Applications Using Microsoft Excel and VBA by Stephen Bullen, Rob Bovey, John Green This book is a must have for anybody who is or aspires to be a serious Excel developer. For me the techniques and methods put forward by this book go from enlightening & new to reassuringly familiar. The authors' writing style and use of an example project makes reading and comprehending the advanced subject matter straightforward. One word of caution though, reading this book will change the way you work! Excel Charts by by John Walkenbach One of the first books dedicated to the topic of charts. 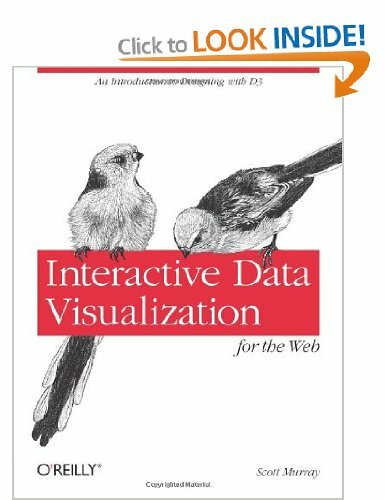 My 3d scatter example was mentioned in this book. Formulas and Functions with Microsoft Excel 2003 by Paul McFedries Clear, concise and instantly usable. The book's matter-of-fact approach makes the prospect of using complex formulas less daunting. Head First C# by Andrew Stellman, Jennifer Greene I really like 'Head first' style of book writing. Both books I have in the series have managed to deliver by allowing me to understand and detain information in topics that are not well know to me. Head First Object-oriented Analysis and Design by Brett D. McLaughlin, Gary Pollice, David West Do not be put off by the unusual layout of this book. It is intended to aid learning and retention of knowledge. To the most part I think they achieve the desired effect. Although I must admit I could not read for more than 20 minutes at a stretch. 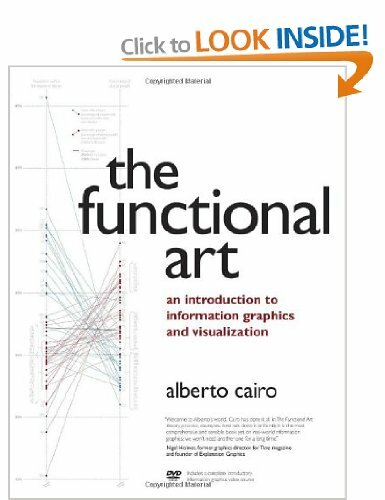 This is a book about methodology so don't expect any Excel related content. 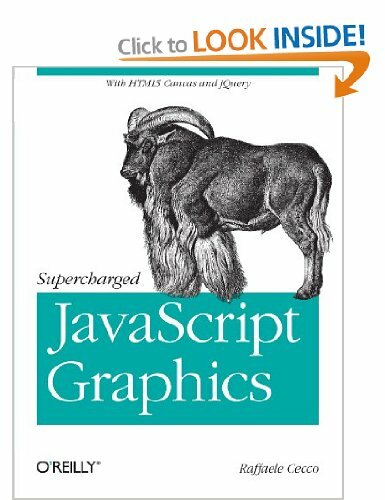 The books chosen language is Java, which I do not know how to code in, but even this is not a restriction in understanding the principles.All in all a surprisingly good read. Code Complete: A Practical Handbook of Software Construction by Steve McConnell. For any serious coder, irrespective of their language, this book is a must. 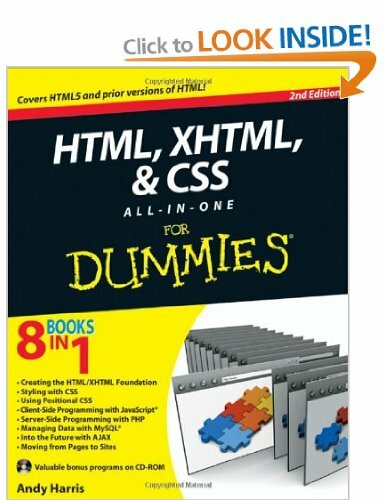 Every chapter contains pearls of wisdom on how to tackle the whole art of coding. Whether you code alone or in a team reading this book and implementing the suggestions will improve you as a coder. Windows Vista the Missing Manual by David Pogue An informative read. David's style of writing makes for easy reading. The book covers all aspects of the new operating system, detailing the variations between the versions. Windows Vista in a Nutshell by Preston Gralla I found the split format of this book is a great idea. It is more suitable for those readers with a prior knowledge of an Windows OS rather than a novice or newbie. Experience of a previous OS will help you in identifying the correct section of the book in which to find the detail. Each section covers the information in just the right amount of detail. When I read Vista the Missing Manual I actually wanted to try out and use Vista, which I will be doing once I receive my new works PC. Where as this book will be the book I actually use day to day to resolve any Vista problems or gaps in my knowledge.